Today there are 2.6 billion smartphone subscriptions globally and access online content through their phones. There is a lot of scope for marketers to make use of this piece of data, in their mobile marketing strategy. But, there’s a catch here, as mobile SEO is just not enough. You need to go a step beyond SEO and that is user experience optimization. If the users don’t find your mobile presence any good, they will leave you for the better option. Why give them a reason to choose someone else over you? Read these best practices and tips to win over your mobile audience and become their only option. There will be approximately 6.1Billion smartphone users by 2020, says a report from techcrunch. Now you must realize that your website will be accessible to a variety of mobile devices of different brands, different browsers and most important different screen resolutions. Make sure you incorporate scalable web design to provide the users a hassle free screen viewing experience on across all resolutions. If you want to make the most of your mobile marketing, keep in mind to create separate custom landing pages for mobile which are well optimized. Keep the page design simple without embellishments. Make it simple and consistent. You don’t require a replica of the desktop landing page so make sure you incorporate only the relevant elements in the mobile counterpart. A common mistake that everybody does is making use of pop ups in mobile website. 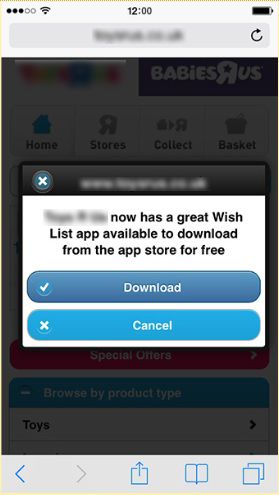 We have seen ‘Download our app’ pop ups on almost every popular e-commerce mobile website. These pop ups can be very annoying at times as they occupy the entire screen. Even google does not support the use of such interstitials. A good practice is to use banners instead of pop ups. A slow website is a major turn off for the users. It takes them seconds to decide if they want to stay on your website or not. You can increase your revenue by decreasing the page load time. This you can achieve by enabling browser caching, optimizing plugins and compressing resources. If your site requires a use of a lot of images and links, you need to constantly check if they are not broken. Use tools to check if your website is mobile friendly or not. Google constantly works to provide a wonderful user experience to the users and if it will repeatedly find broken links on your site, your site will lose its authority. You will get no brownie points for constructing a complexly linked website. You must try to keep navigation to the simplest. You should never give a tough time to the users for finding pages they want. Keep the categories organized and simple, so that it is easy to find the resources. Make sure all the important resources are clearly defined and reachable. If your mobile site contains content like audios, videos that are unplayable on mobile devices, it is better you remove them. Don’t make the users download audio video/audio players or licenses to play media on their phones, just to watch a piece of content. Use content which is playable on all mediums or use HTML 5 standards. If you want to take the user experience and usability to a next level, incorporate click to call buttons in your website’s contact us page. Click-to-call buttons are those by which will activate the user’s mobile phone dialer with the mentioned phone number so that the user doesn’t have to enter a number manually before placing a call. Always strive to create compelling and unique content for your audience. Understand their taste and give them content which helps them in some way or the other. Don’t write long stories for mobile devices to fit the small screens, keep the content short and succinct. Don’t forget to optimize your website for local searches by placing your business’s name, address and phone number in the meta description. Optimize your pages for mobile search keywords as mobile search behavior is different from website behavior. Keep in mind to use analytics to measure all the activities and success or failure of a campaign. These were the 10 most important best practices for UEO that you must consider while designing a mobile marketing campaign. Mobile user experience optimization isn’t a choice but a necessity. Don’t take it lightly. 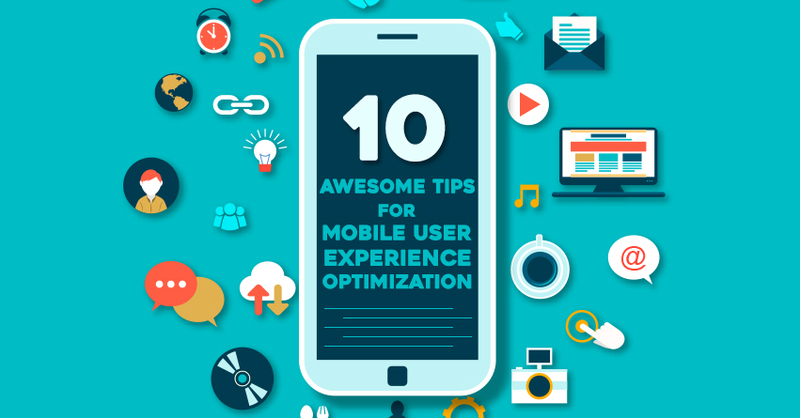 Increase your conversion rate with these 10 super helpful user experience optimization tips for mobile. 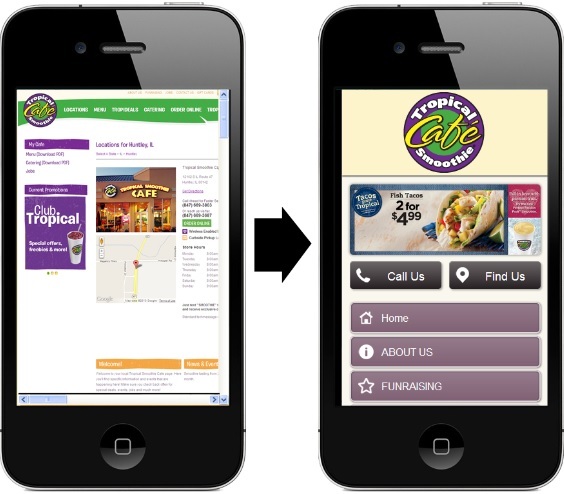 Tell us what actions have you taken to optimize your mobile presence? Drop in your comments. Do share this article with more people looking out for similar solutions. Do read these articles we have chosen for you.